Please help me welcome today’s guest, A. Sangrey Black, who is sharing a little about herself and her upcoming release! 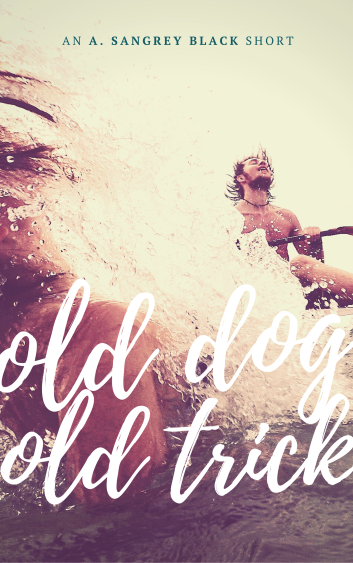 Where did you get the idea for OLD DOG, OLD TRICK? It came from a few places, as most of my stories do. 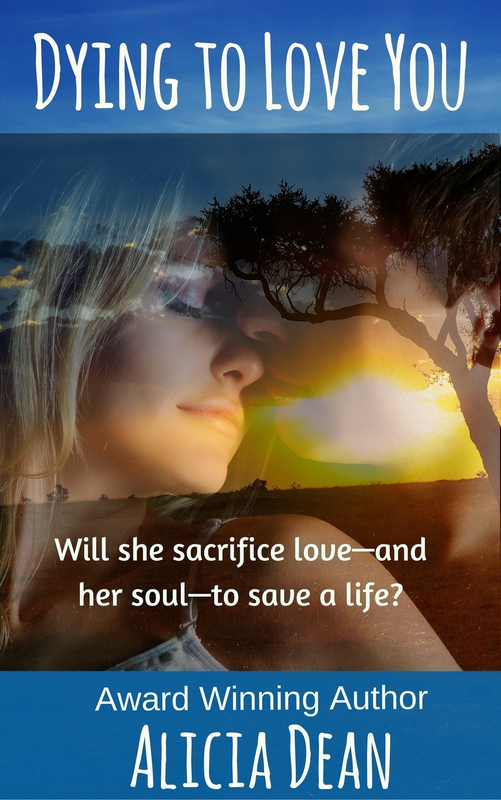 I don’t usually write contemporaries, but this particular premise just hit home for me. It’s the great love who got away, and looking at what you might do if you had another chance many years later. The characters came right away (they were already living in my head), and music really helped. I’ve written quite a bit of m/m before. Only one has been published so far, along with an m/m/f, but I wrote a ton of slash fanfiction years ago. It doesn’t translate directly to original fiction, but it’s a great place to cut your writing teeth. It was actually very personal. Wish fulfillment, absolutely, even though I’m a woman. This one actually was one of those rare animals that came to life very organically at once. It’s just a short story, so I can easily stay focused long enough to get something that length finished. Usually I have to fight distraction, and other things constantly vying for my attention. I always write down a ton of notes before I begin writing. Usually characters, the skeleton of the plot, a playlist, maybe even some poetry. Then I will outline for novella or novel length, or sit right down and get to it for a short story. IF WISHES WERE SHADOWS had no preparation. One night I drank a few glasses of sangria, ate some nachos, and BLURT! There it was. Of course I had to go back and hack it up, do some research and such. But there was none of my usual ritual involved. If the review said something specific about what the reader didn’t like, and wasn’t presented in an obnoxious way, I would much rather have a bad review. I might obsess over it for a while, but eventually I will turn it into a lesson for next time! No review means the reader just didn’t care enough to take the time to say anything. If they at least leave a star rating, that’s something. Constructive criticism is important feedback for writers, in my opinion. LOL! I would probably re-write every one from scratch! It’s difficult for me to go back later and re-read my published pieces. I can see every mistake, every little flaw, everything that as my writing evolved I never would have written in that way. Worst of all, I never fail to find a plot point, a scene, or some dialogue that might have improved the story tenfold! But “dark,” “violent,” and “monsters” don’t necessarily translate into horror. Someday, I hope. Heh. I have a few. My favorite, which has served me well in my writing, is from Hemingway: “The first draft of anything is sh*t.” It’s a reminder that, hey, you’re going to have to go back and rip your story apart to edit and rewrite anyway. Why not just charge through, get the bare bones of the story down, and go back to fix it later? Thank you for allowing me to guest on your blog today, Alicia! 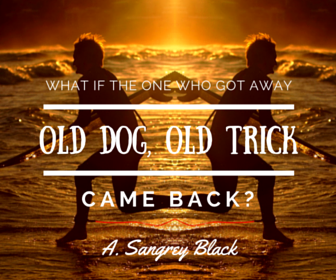 The tentative release date for OLD DOG, OLD TRICK by A. Sangrey Black is August 26, 2016 from MLR Press. You can follow the blog for A. Sangrey Black @ http://asangreyblack.wordpress.com or follow my main blog at http://bloodthirstymuses.wordpress.com!